Twelve years and 502 blogs ago, I began “Time Tells” – my little blog about heritage conservation, architecture, planning, technology and economics. I have moved three times in those dozen years and now live in San Antonio, one of the pioneering preservation places in the United States. You may know me as the dark prophet of house museums because I have studied them and find their economic model wanting. This remains a challenge for me since I now have responsibility for the two house museums owned by the San Antonio Conservation Society. 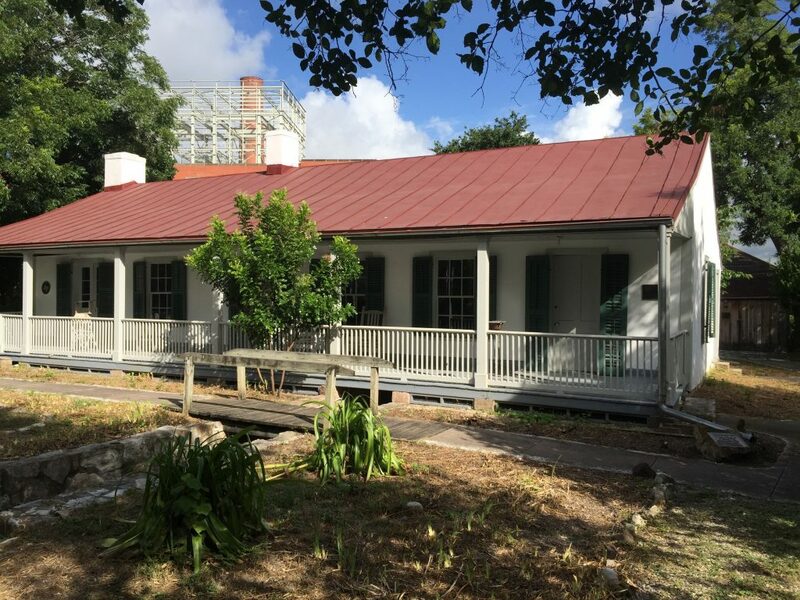 The first is the Steves Homestead in King William, the oldest historic district in Texas, turning 50 this year. This 1876 High Victorian classic sports a stunning limestone facade, mansard roof, rope-molded round-arched windows, extensive garden and some rare items on the interior, like a marble mosaic table from Rome, faux grained pocket doors, decorative ceiling painting, silver service and other items original to the family. This home was given to the Society in 1952 and opened as a house museum in 1954 – the same year Lady and the Tramp was released (that film was my parent’s first date). That means the house was a house for 76 years and has been a museum for 63 years! The Steves Homestead is open every day 10-3:30 and self-guided tours are $7.50. There are also barns and a wash house on the back of the property along with a visitors center in another historic building. The River House behind the Homestead is not open for tours, but was added in 1910 to house a swimming pool (first in the city!) and is now used for Society Board meetings and volunteer events. This regular use helps justify the cost of the house, which has no endowment. Creative programming can help, although the home’s location in a quiet residential neighborhood limits the options. 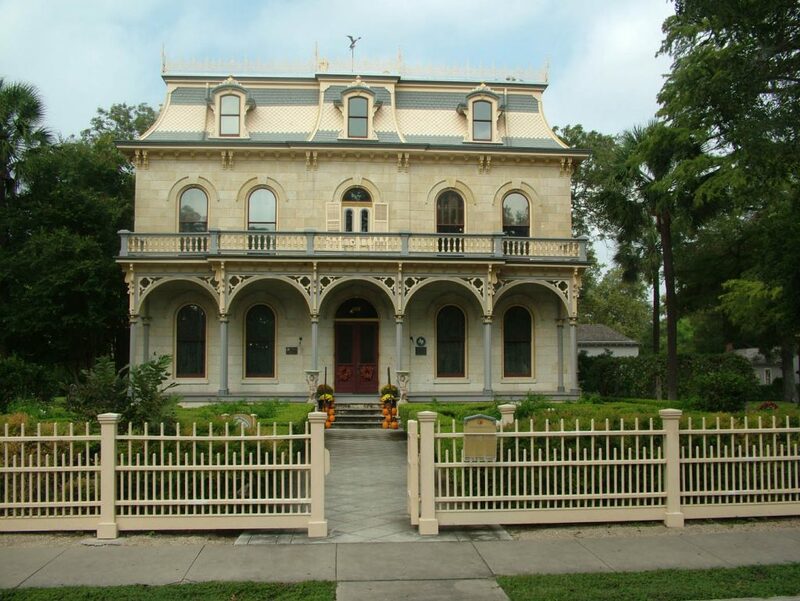 A mile south along Mission Road and the Mission Reach of the San Antonio River is the Yturri-Edmunds house, an adobe block six-room home built in 1859. 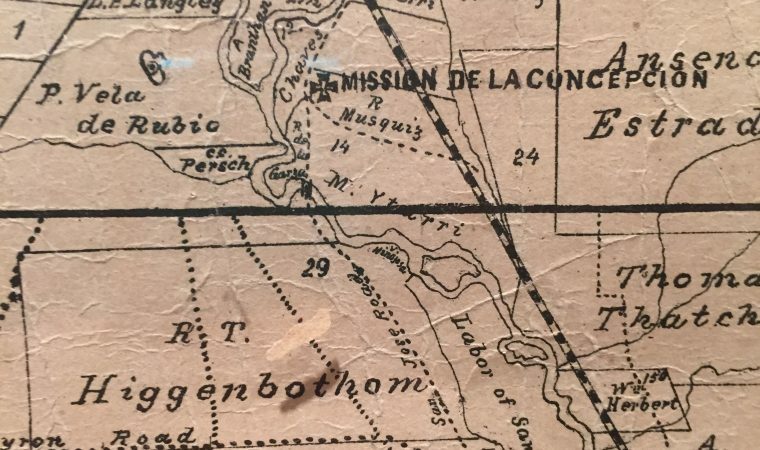 The land was originally Mission Concepcion labores and was conveyed to Manuel Yturri in 1824. His descendant Ernestine Edmunds gave the house and land to the Society in 1961. So, like the Steves Homestead, there was only one previous owner. 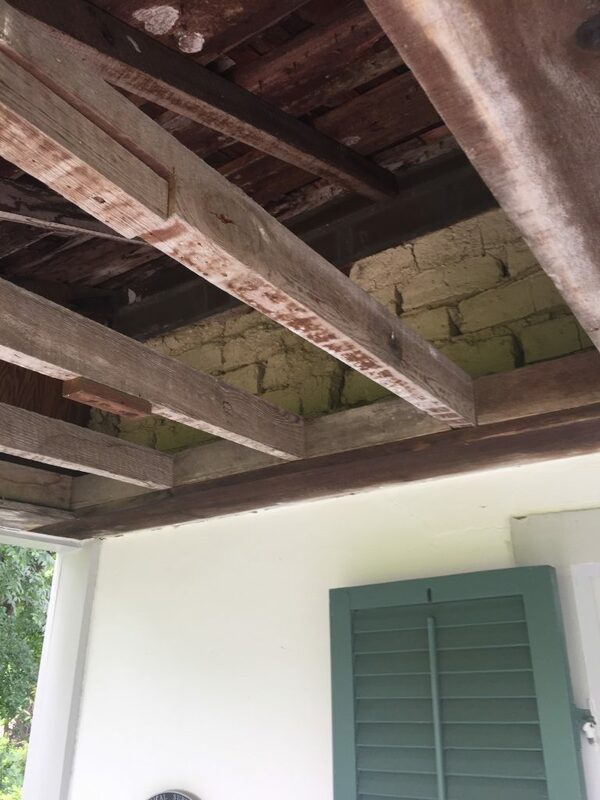 Cutaway on porch showing adobe brick wall. 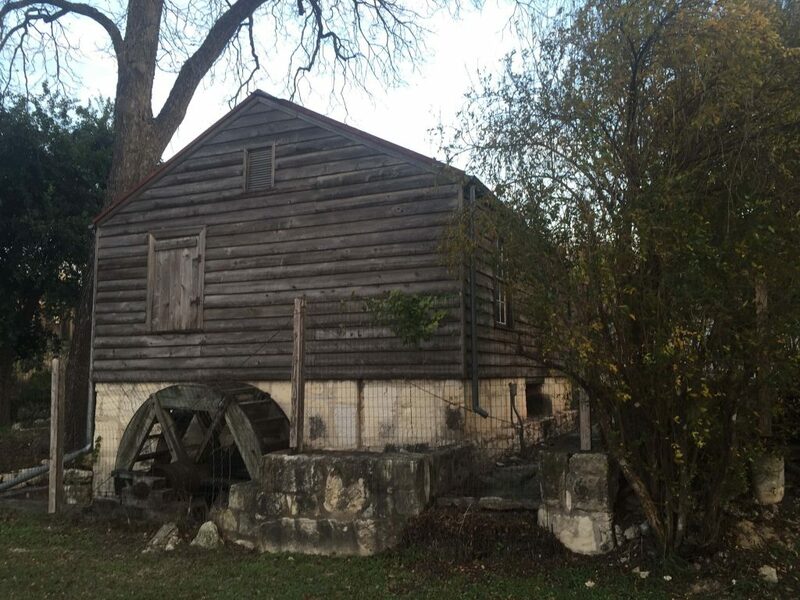 We rebuilt the mill, which stood on a desague from the main Pajalache acequia. 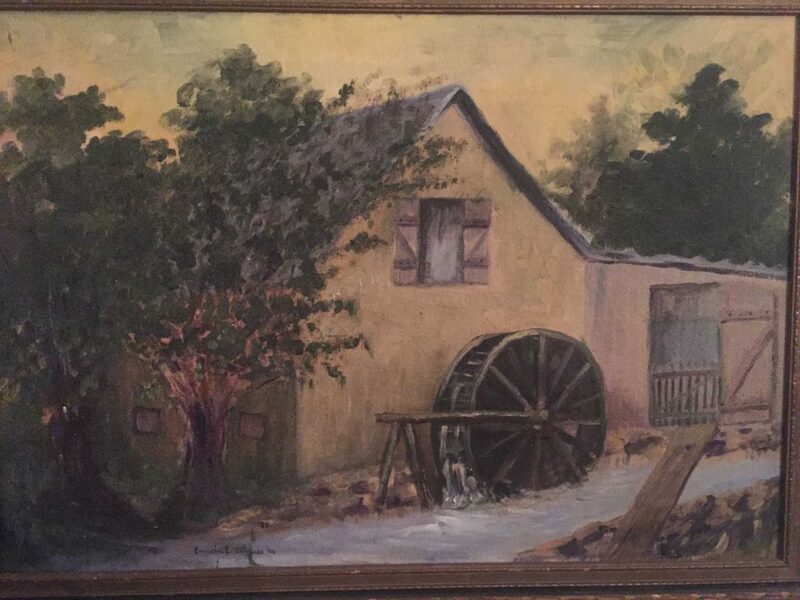 The rebuilt mill is evidence of how we used to restore buildings – based on original foundations, a surviving adobe brick wall, and a painting that Ernestine Edmunds did of the mill in the early 20th century, it was reconstructed – except they put the mill wheel on the wrong side of the building so it would be more visible from the street! 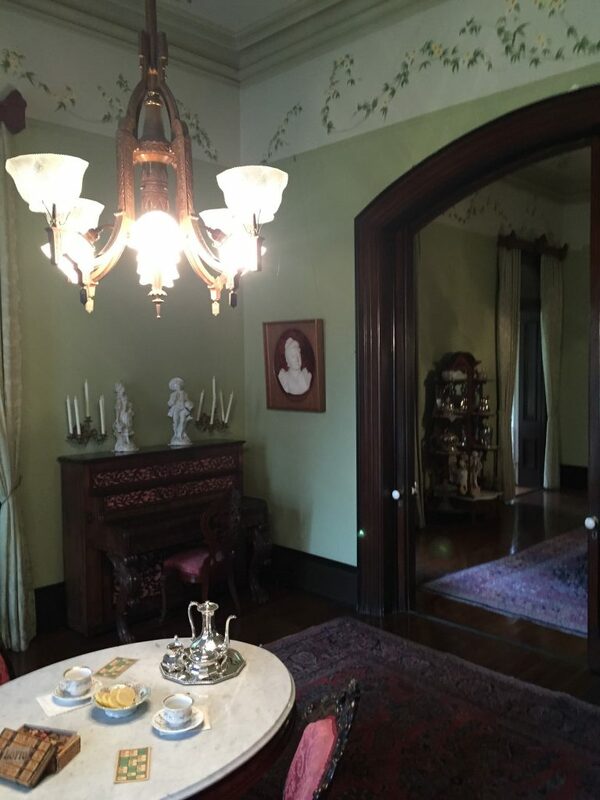 The house is fully furnished with the usual combination of original items – including several paintings by Ernestine Edmunds – and period pieces like the Eastlake parlor set and rope bed. The site also includes the Postert House pictured above, a one-room fachwerkbau (palisado) that was moved here to save it two decades ago. 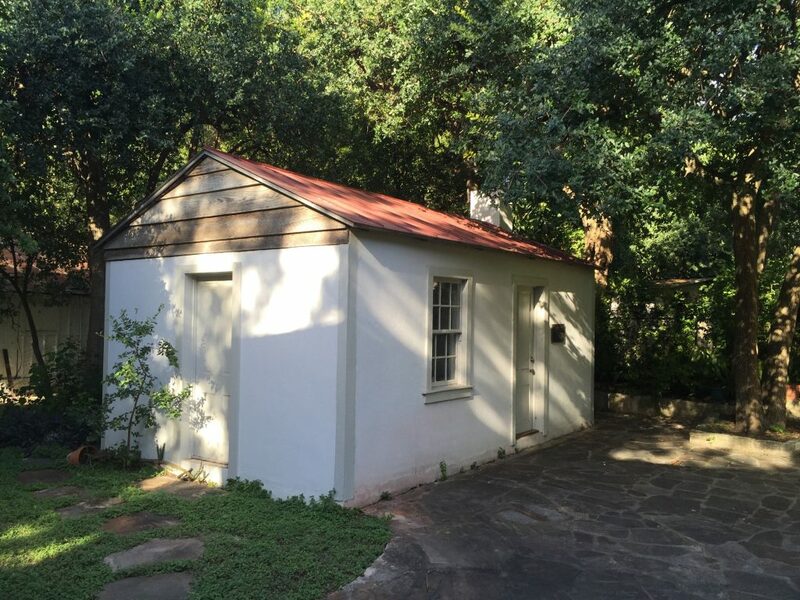 There is a Carriage House moved here in 1964 and curiously restored/rehabilitated, and a couple of mothballed structures from an early 20th century motor court. We have opened the site for tours by appointment only on Fridays – book and pay one week in advance. Call 210-224-6163 to make a reservation. 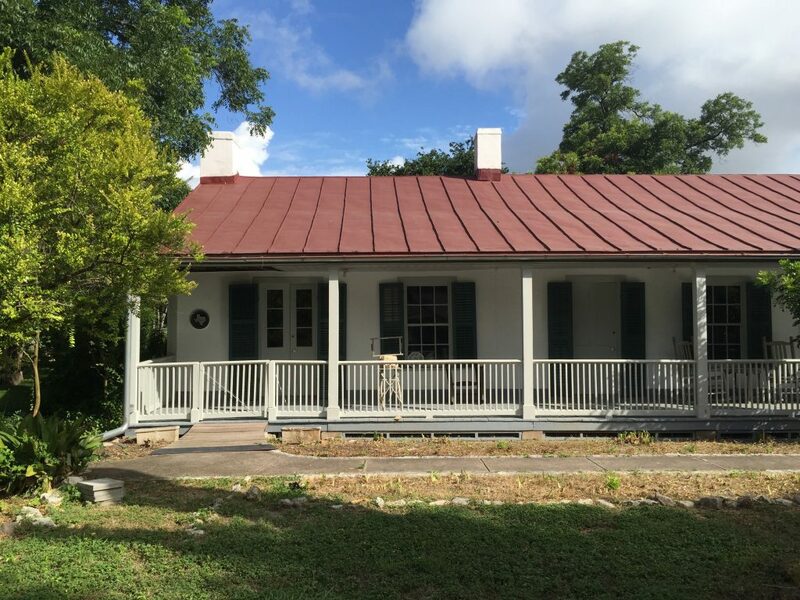 Our hope is to lease the non-museum portions of this site to a commercial entity which can activate the space for refreshments and events and thus provide the revenue needed to operate the house museum. I envision a project similar to the Cooper-Molera Adobe in Monterey, California, which I was involved in and is now activating its location with a restaurant while maintaining the house museum. Yturri-Edmunds is just across from the new EpiCenter project and not far from the Lone Star Brewery redevelopment. Thanks for paying attention for the last 12 years and please stay tuned!